I’m really enjoying outdoor activities at the moment as the weather has been so lovely. Following on from my Stick Flags the other day I’ve got another stick craft for you, no doubt it won’t be the last either! We have so many lying around in our garden and I’m determined to make things with them, my OH on the other hand got back from work and thought I had gone completely crazy when he saw what I had done! 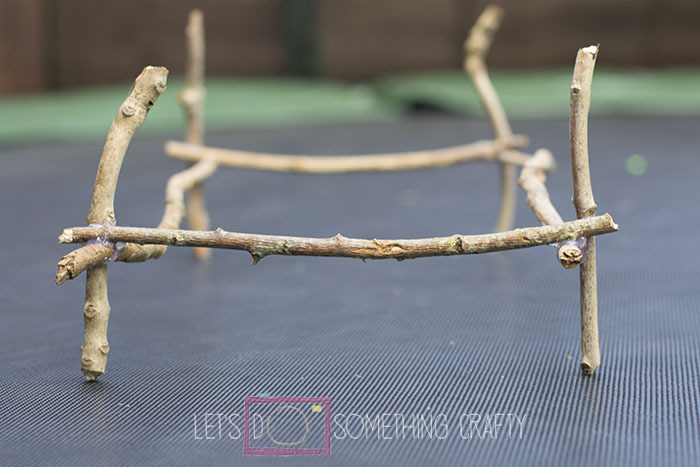 I like the fact this uses sticks though as they are so easy to find and would be really good for imaginative play. 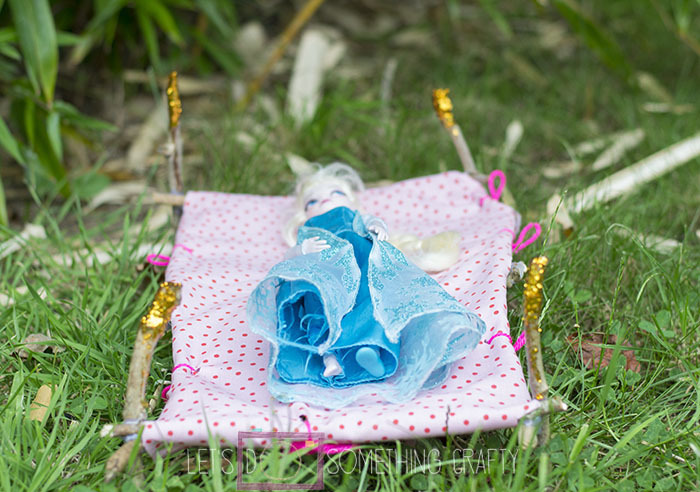 You could set up a scene in the trees for pretend fairies or use dolls such as Snow White who lived in the woods. 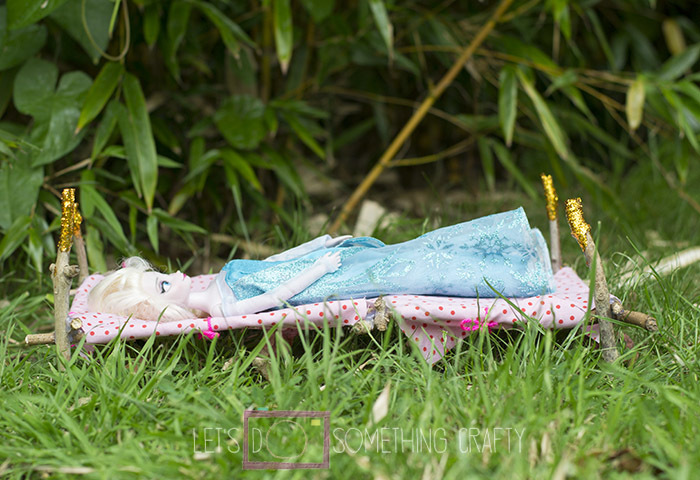 Cherry is still obsessed with Frozen so Elsa is going to be sleeping in this one. 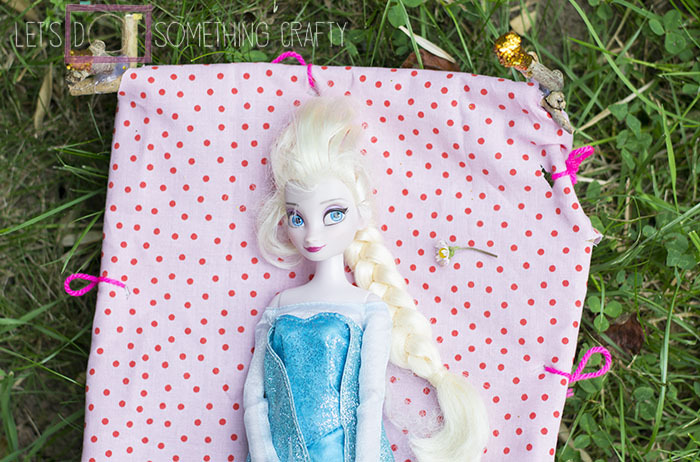 So I collected up some sticks and measured them around the Elsa. Then used my glue gun to stick them together. Next I chose four shorter sticks to make the frame. I also added one more stick across the middle for extra support. I used some material for the mattress which I cut holes in to tie to the frame. And I dipped the ends of the sticks in glue, then glitter. 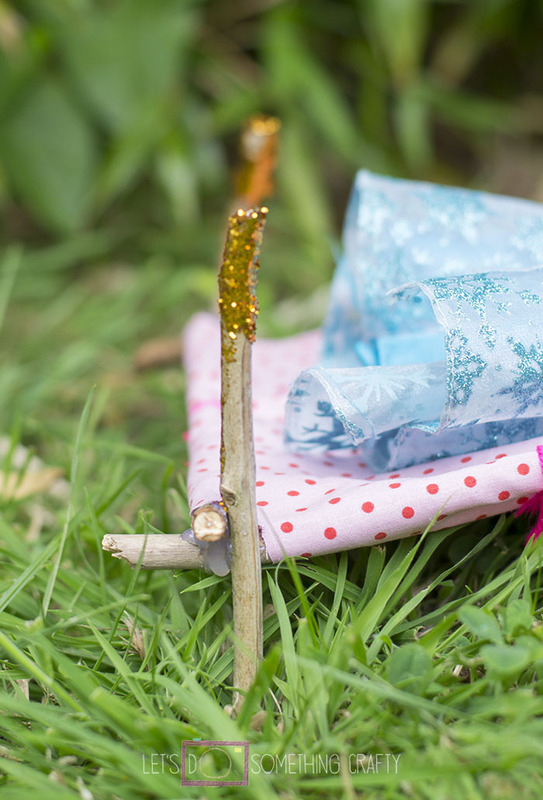 It was really easy to make and a great outdoor activities idea. 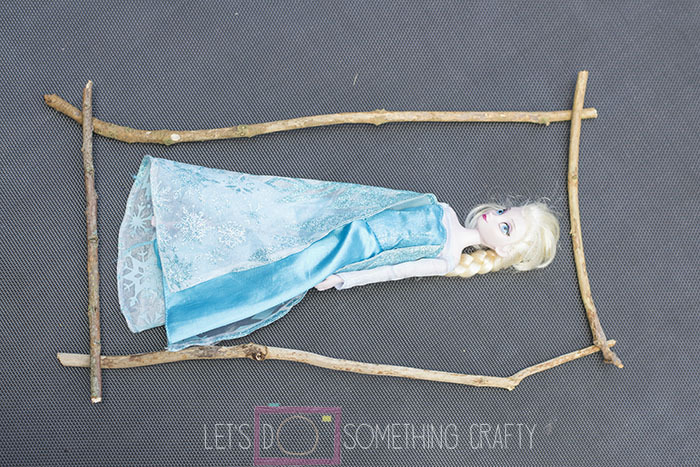 If you were out in the woods and didn’t have a glue gun then you could always tie the sticks together instead. I’m already planning my next stick furniture range product!